Everyone longs for way to achieve that dewy summer glow - whether it is natural lit from within or the blinding highlight you can see from space. 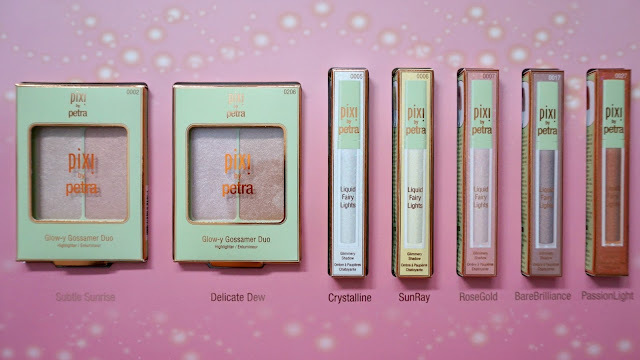 I am personally more of the natural glow type gal so when I saw that PIXI released the Glow-y Gossamer Duo sets, I was so excited to try them out. 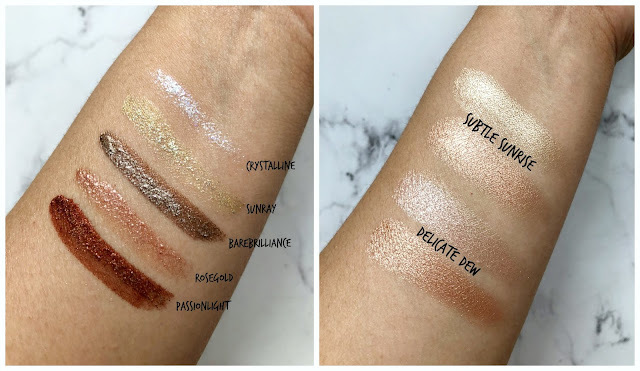 In addition, they also launched their new Liquid Fairy Lights eyeshadows which I have swatched below. So, if you're interested in finding out more, just click the link below to learn more! 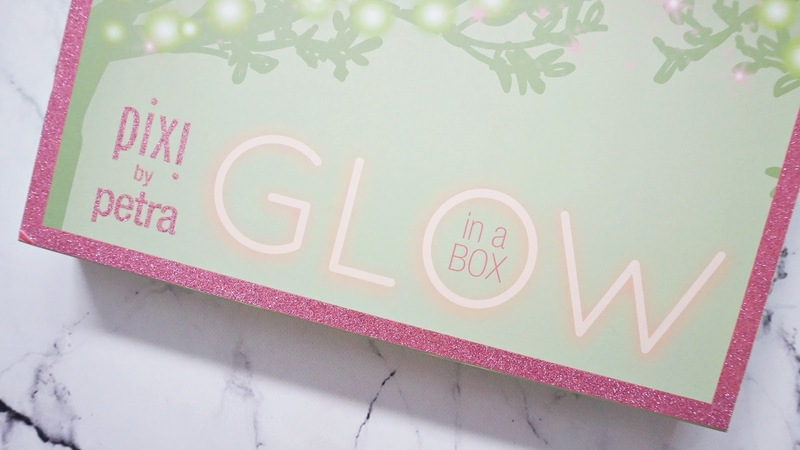 First up, we have the Glow-y Gossamer Duos which retail for $18 USD each. These are finely milled and buttery highlighters that can be applied sheer and builds to a pretty pigmented in your face highlight should you choose. In the swatch photos below, it is literally me with one swipe with my finger on my bare skin (no primer). 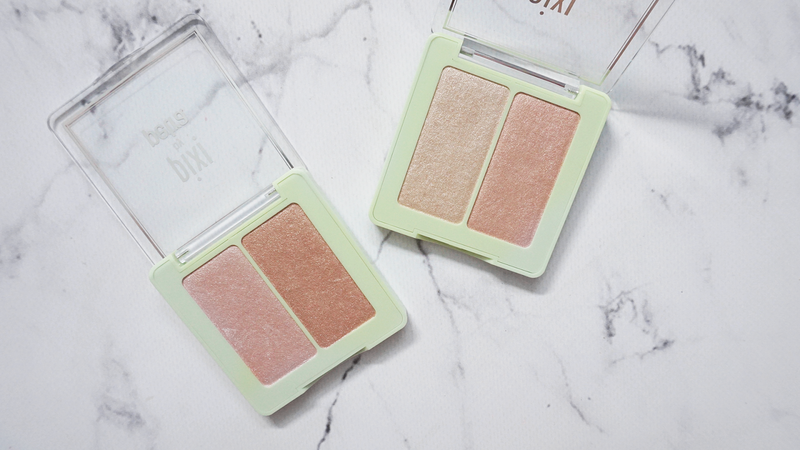 These highlighters are not chunky at all which is a big bonus for me. "Delicate Dew" is a bit warmer and darker in tone - it has a light copper based highlight and a pale pink highlight. "Subtle Sunrise" has a champagne rose gold color and a lighter yellow gold tone highlight. Next are the Liquid Fairy Lights which retail for $15 USD each. I think the biggest question most people have is whether or not these will be a drugstore dupe for the Stila Magnificent Metals Liquid Eyeshadows, I have swatched both formulations below for you to look at. The PIXI Liquid Shadows are quite watery in consistency and each color has a different formulation. For e.g. 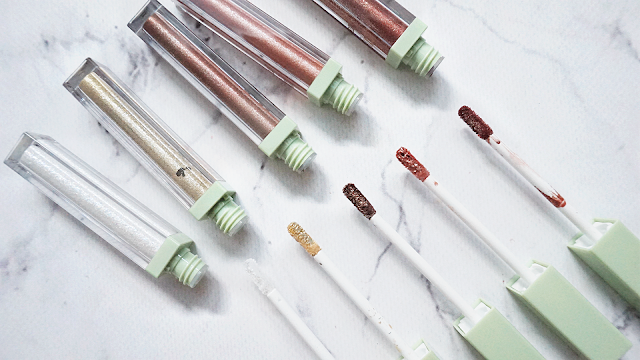 Crystalline is more of a chunky glitter, where as Rose Gold and BareBrilliance are more like the Stila Magnificent metals formulation with the glitters dispersed evenly in the metallic shadow. Passionlight is very liquidy in consistency and the ratio of liquid to glitter is 2-to-1 as you can see in the swatch above. 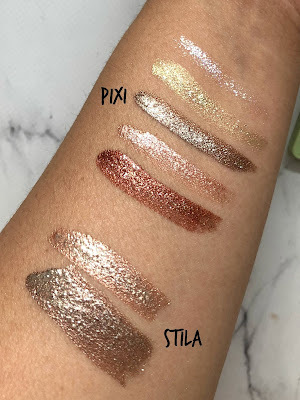 I feel like the PIXI BareBrilliance shade is a pretty good dupe for Stila Smoldering Satin. Overall, out of the new launches, I would highly recommend getting the duos, depending on which shades you gravitate to more, the formulation is the same and delivers a beautiful subtle highlight and can be layered to a strong blinding one should you choose.